We awoke to a cloudy morning. By the time we left Linwood, the clouds started breaking up and it looked like it would be a good day. 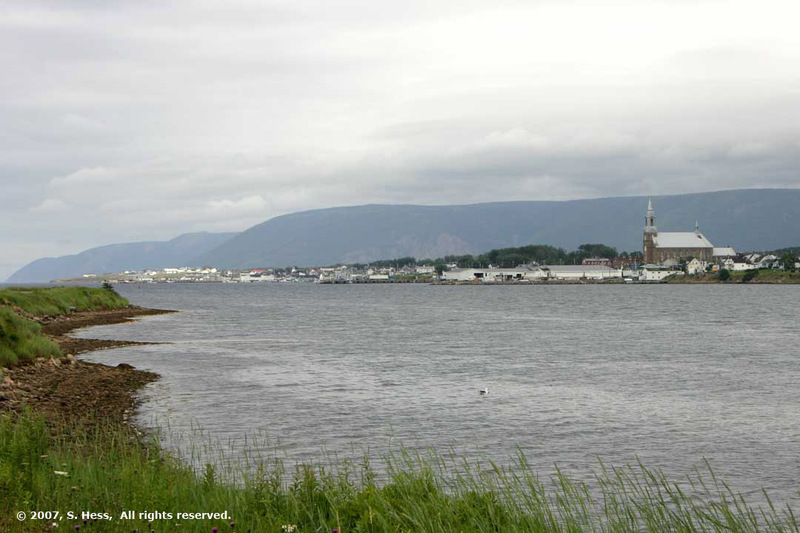 Not long after we crossed the Canso Causeway to Cape Breton Island, the clouds started closing in on us. By mid afternoon, the sun was shining on Cheticamp. 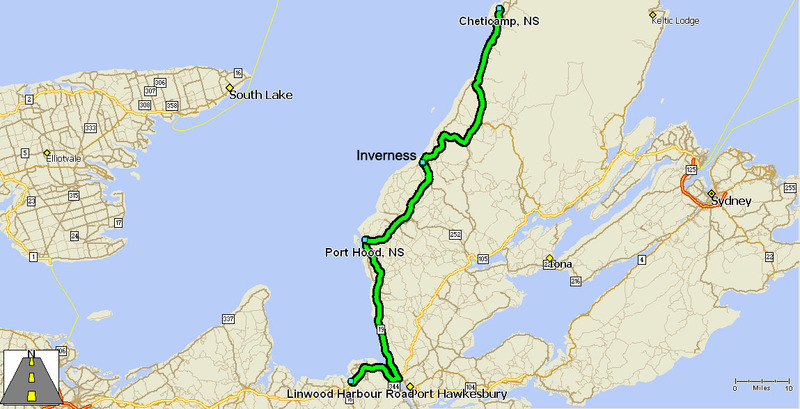 When I plotted the route from Linwood to Cheticamp, I forced the GPS to follow the Gulf of St. Lawrence coastal route. Left to its own program algorithms, it would have taken a limited access inland route until it intersected with the Cabot Trail which would take us into Cheticamp. My logic in forcing a route is that it would take us on a more scenic road that would only add a few minutes to the drive. I was right about the scenery but wrong about the route. The lower half of the scenic route is called the Ceilidh Trail (pronounced kay-lee, a Gaelic word for visit). While it was scenic, the road conditions sometimes rivaled the gravel roads we traveled in Alaska… actually, I think the Alaska routes might have been better. I stayed well below the speed limit because I was afraid of having cabinets pop open in the trailer and causing damage to the contents. The Ceilidh Trail ends at the Cabot trail and there the driving was much better. At any rate, nothing was damaged. 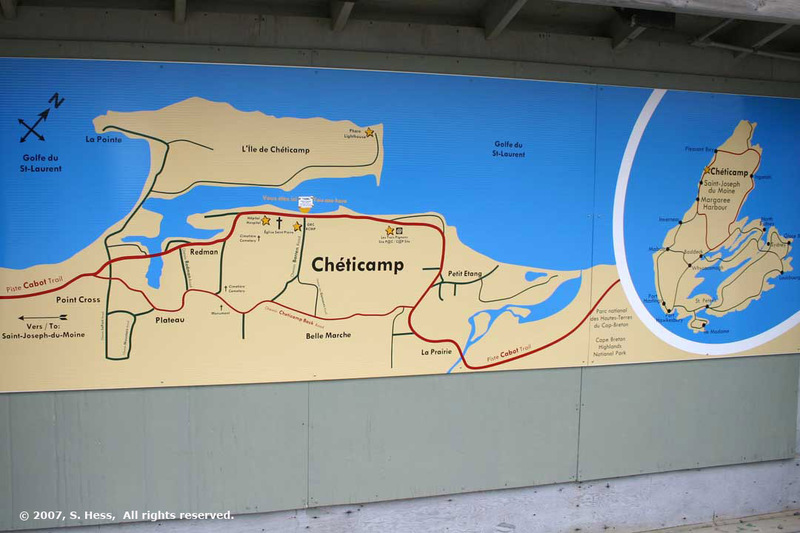 When I mentioned to the person who registered us at the Cheticamp campground that I took the Ceilidh Trail, his words were, “I’m sorry.” I wish I knew this before we left. I now have serious reservations about taking the trailer over the Cabot Trail through the Highlands on the way to our next stop. 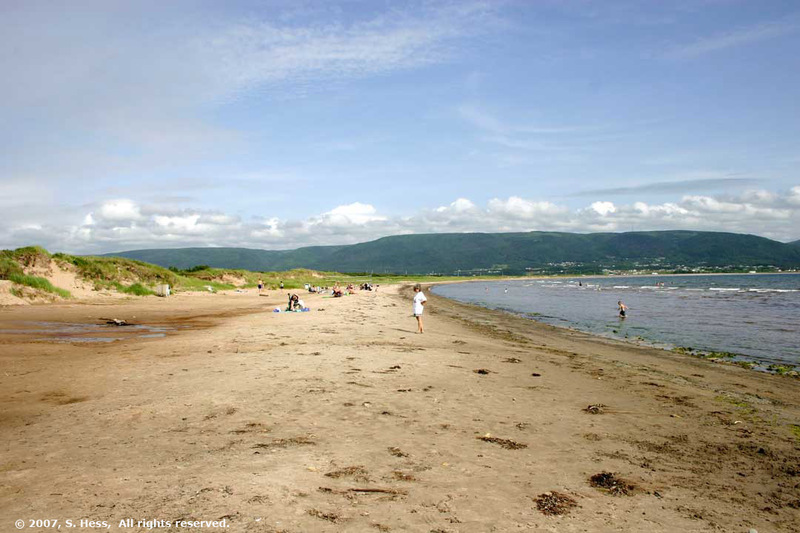 Cheticamp is on the northwest coast of Cape Breton Island, just below the entrance to the Cape Breton Highlands National Park. 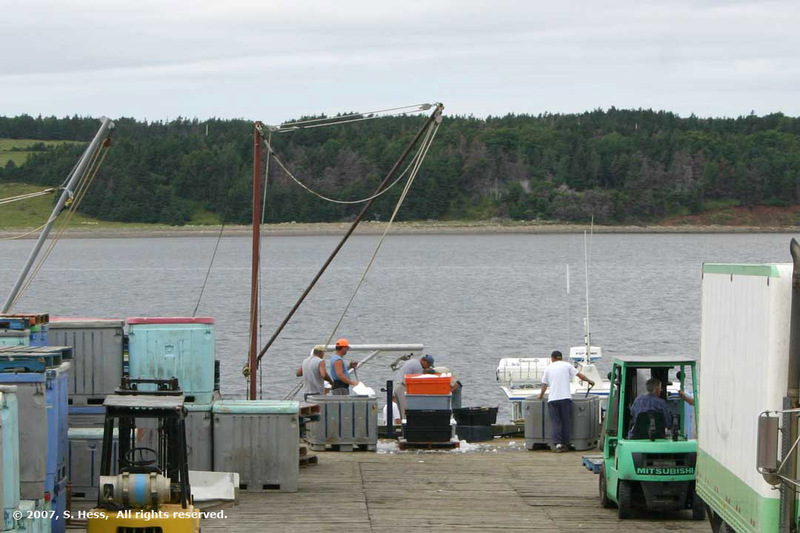 In the late 1800’s through 1946, it was a busy harbor shipping out gypsum from a local mine. After World War II, the mine was closed and Cheticamp’s primary industries were fishing and agriculture. Today it seems that tourism is now a major industry judging by the campgrounds, hotels, restaurants and other tourist services. After setting up the trailer, we drove into Cheticamp to book a Zodiac Whale Watching tour for tomorrow afternoon and to get some groceries from the local CO-OP store. We booked the tour and walked around town. On the way back we intended to stop at the store only to find out that it had been without power for two days and it was closed. We had passed another, much smaller CO-OP in Grand Etang, a few miles south of the campground, so we headed there to pick up a few items. The store shelves were bare… everybody from Cheticamp drove down here to pick up groceries and the store was running out of everything. While waiting on a long line to pay for our few items at the CO-OP, it was interesting to listen to the people around us. There was a mixture of French and English spoken by the locals. The mixture reminded us of the many times we encountered the same mixture in Louisiana where the Acadians’ cousins, the Cajuns, relocated. 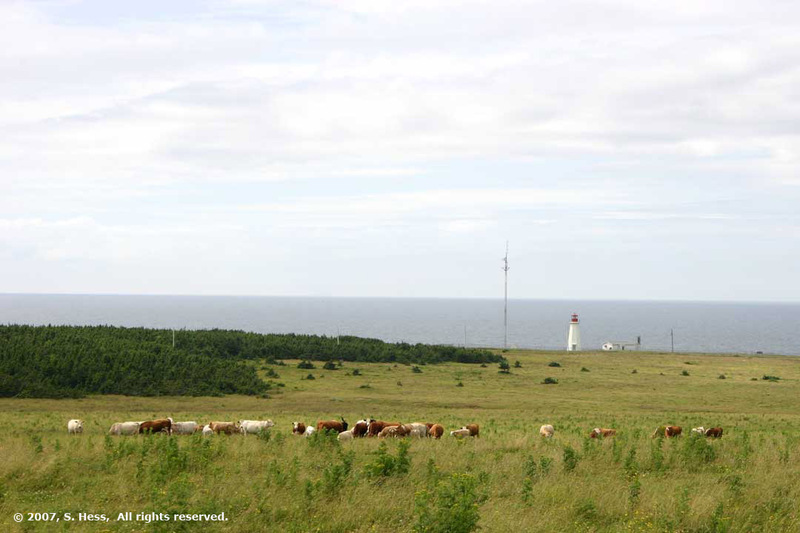 Cheticamp is located on the northwest coast of Cape Breton Island. 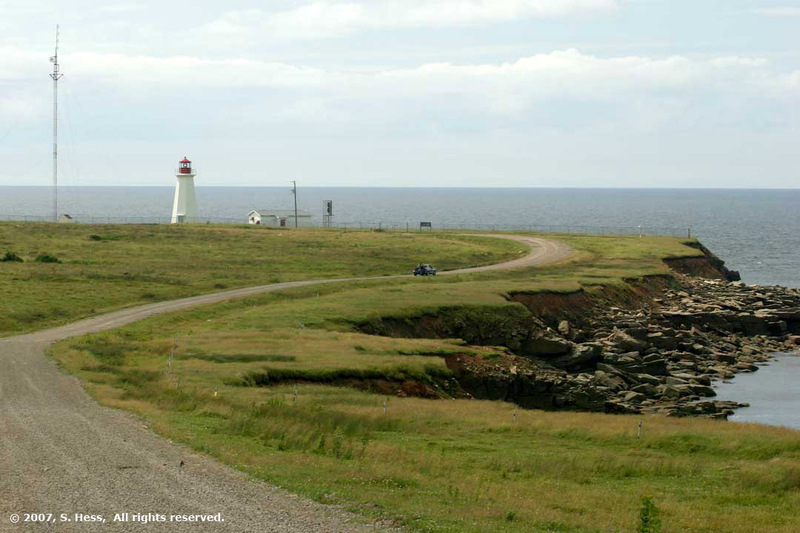 Our campground is on Cheticamp Island acrosss a causeway, west of town. 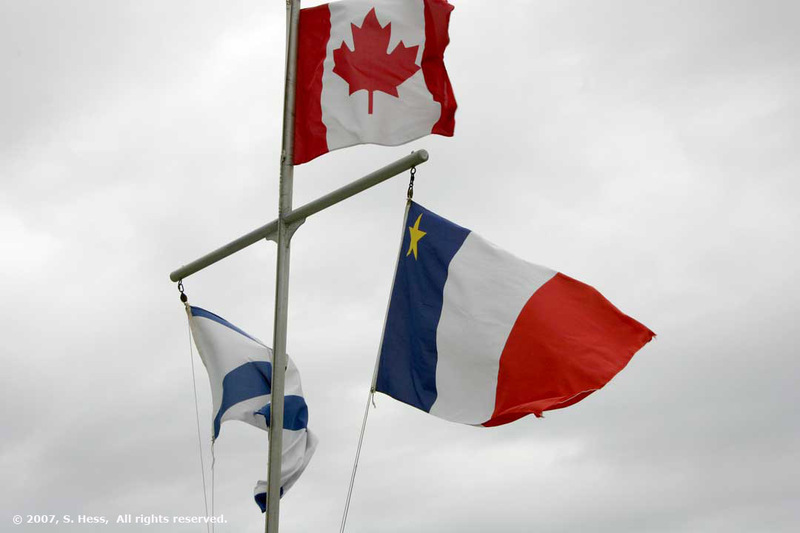 The Acadian identity is very strong in Cheticamp. This flagpole, on a dock in the center of town, has the Canadian Flag, Nova Scotia Flag and the Acadian flag (on the right). 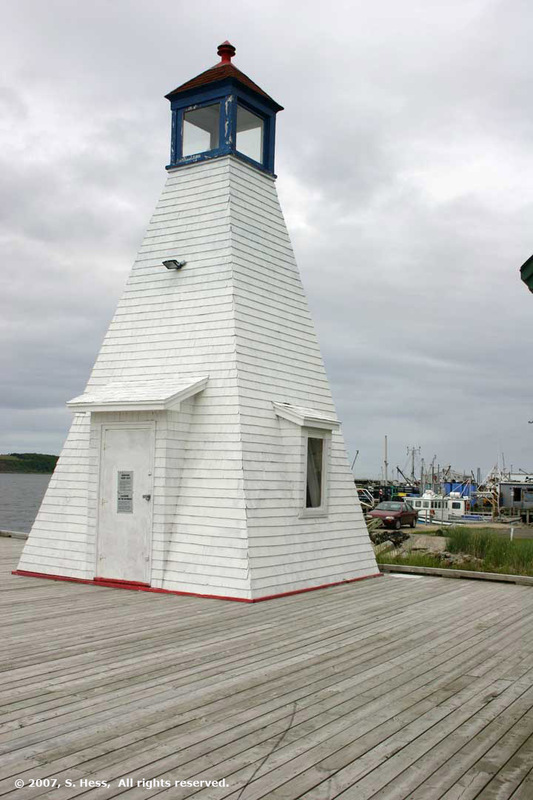 Working lighthouse on the Cheticamp waterfront. 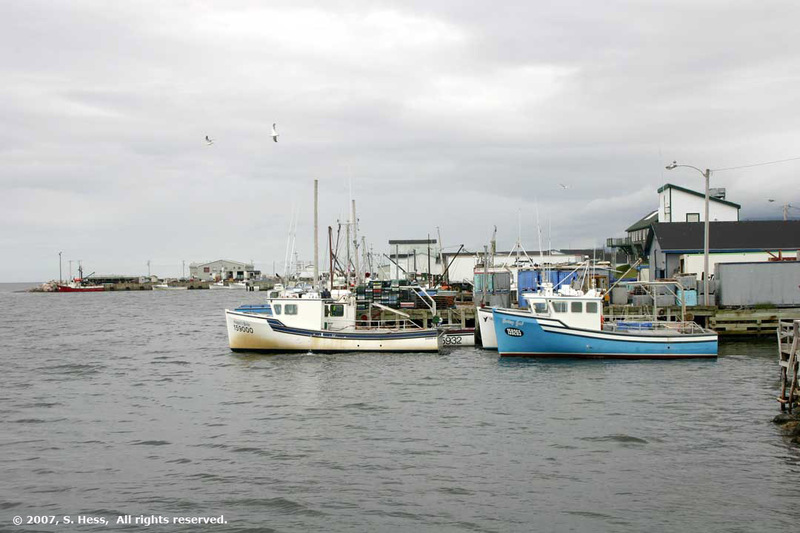 Fishing boats, shown above, are docked nearby. I found this boat's name puzzling. 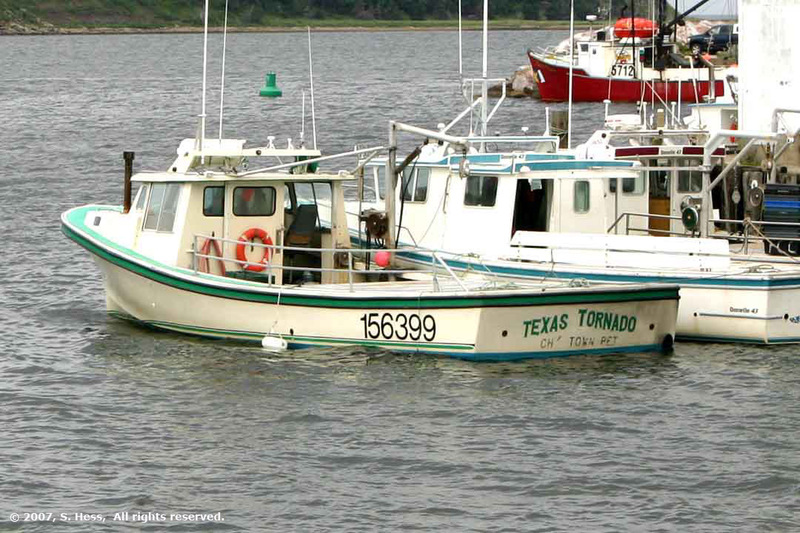 The Texas Tornado is registered in Charlottetown, Prince Edward Island. A long way from Texas and tornadoes. Cheticamp as seen from Cheticamp Island. L'Église St. Pierre (the church) dominates the skyline. 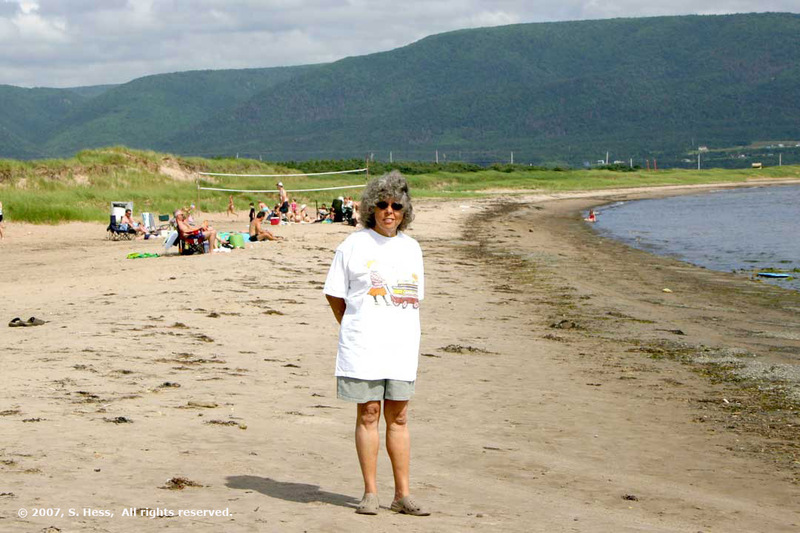 The Beach on Cheticamp Island. The campground is on the other side of the dunes.